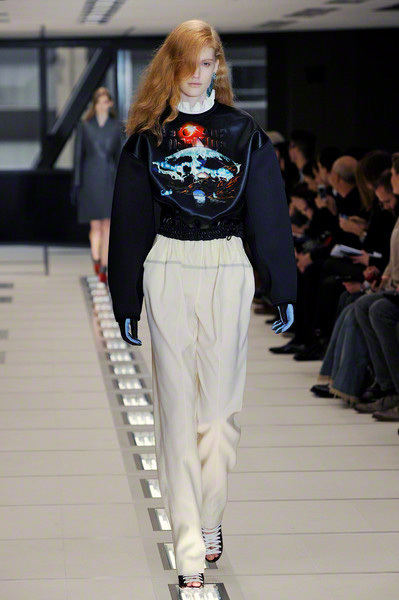 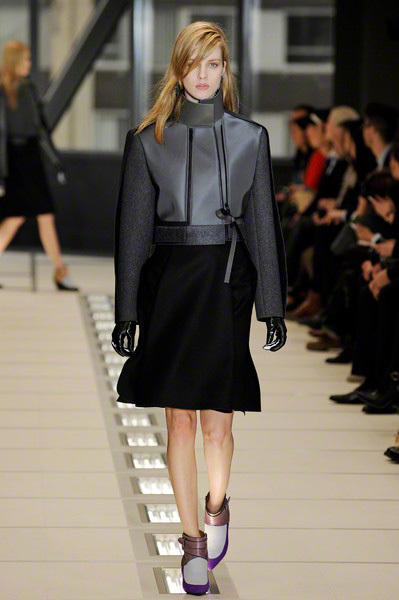 At Balenciaga we were high in the sky. 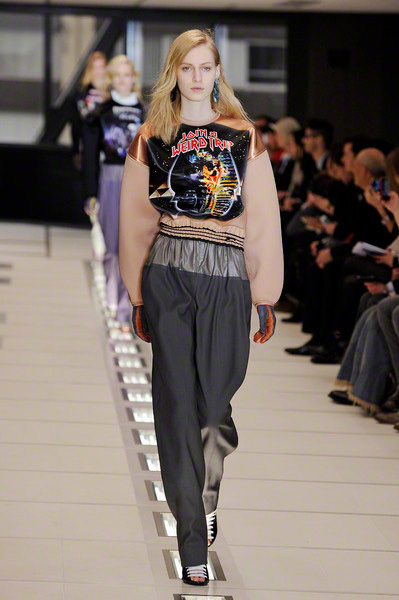 Because the show took place on the 27th floor of the Paris skyscraper ‘Tour Cristal’ and since we fell in love with it’s beautiful fall collection. 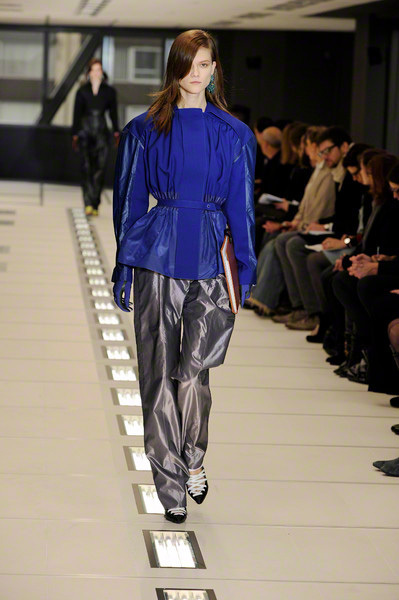 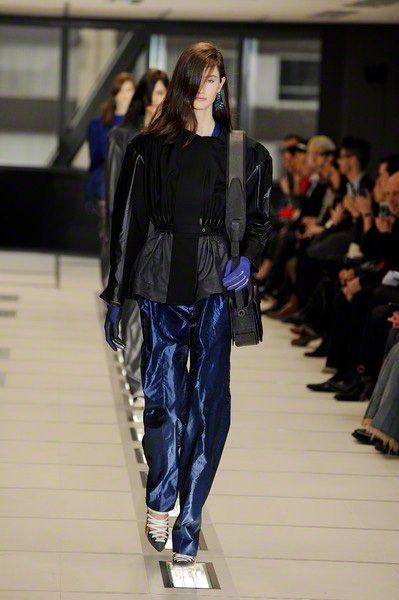 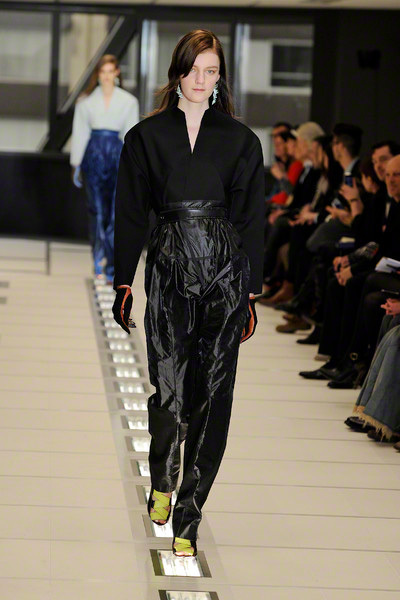 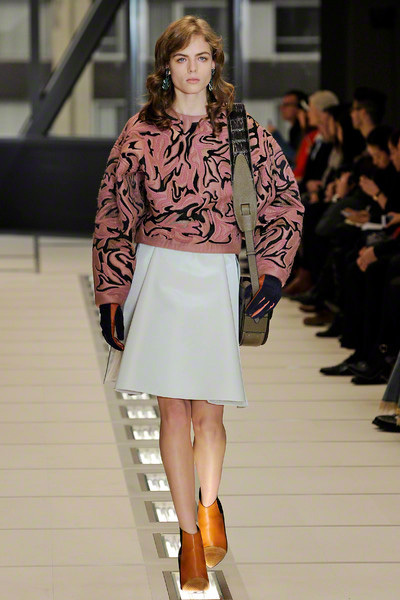 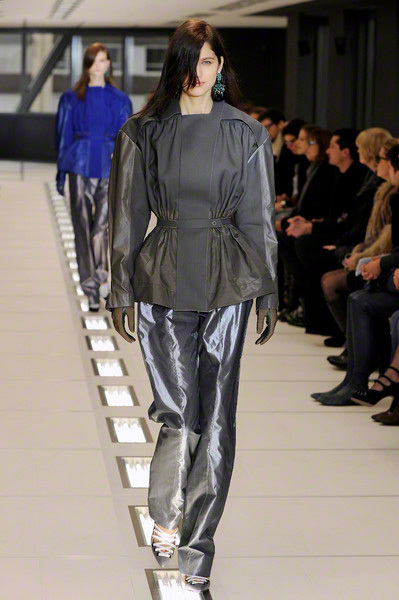 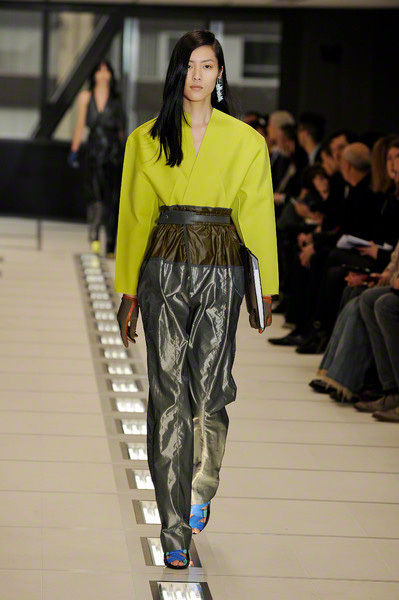 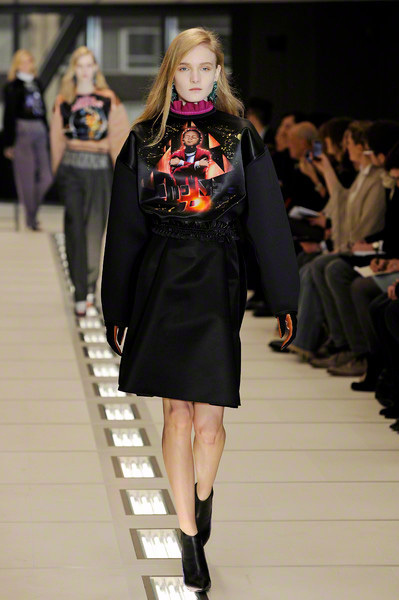 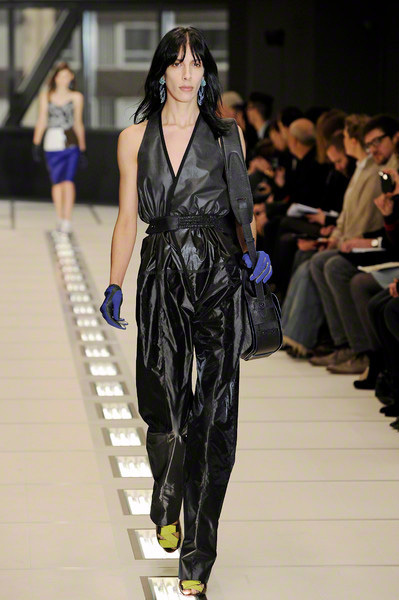 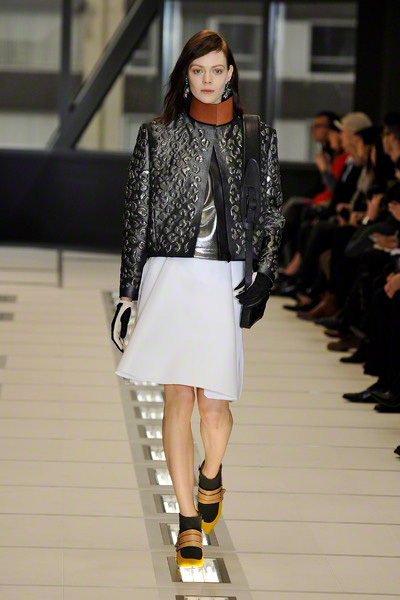 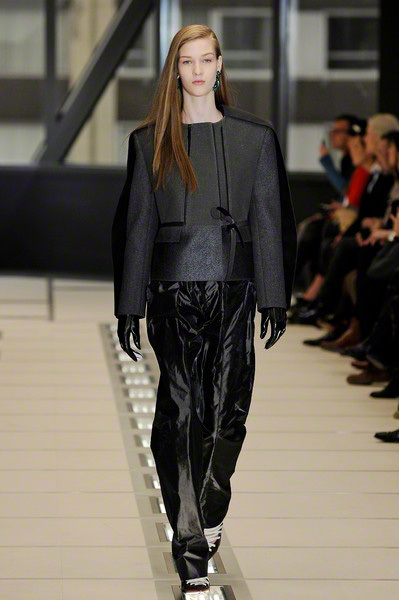 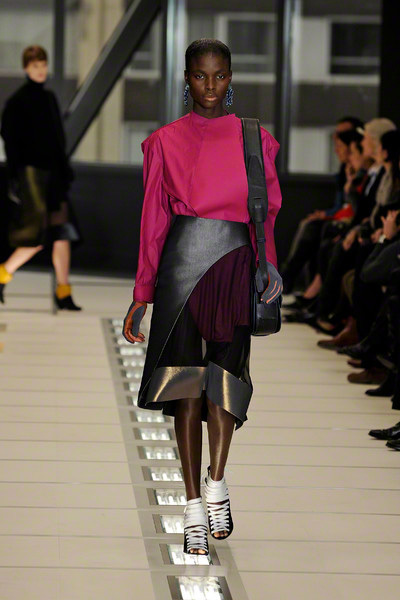 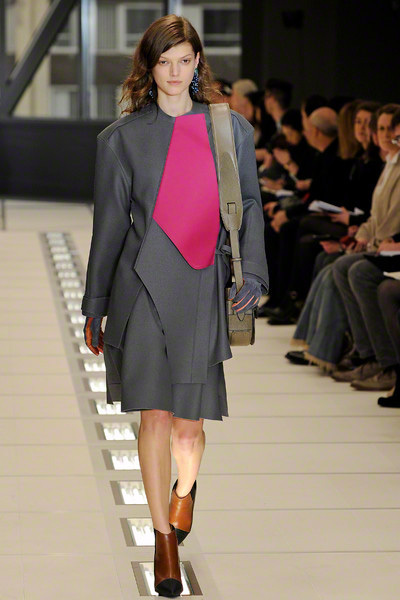 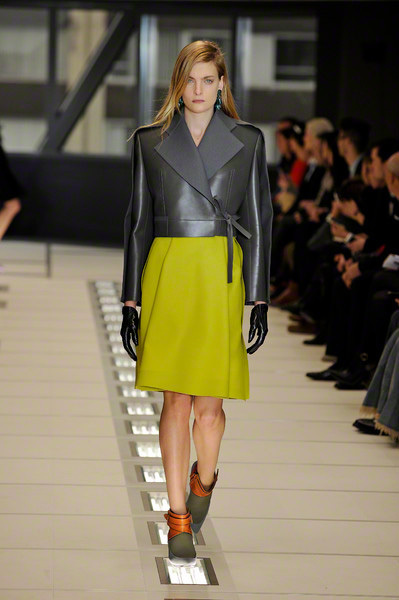 One shown by a complete Balenciaga Inc. company, including employees, interns and an IT department. 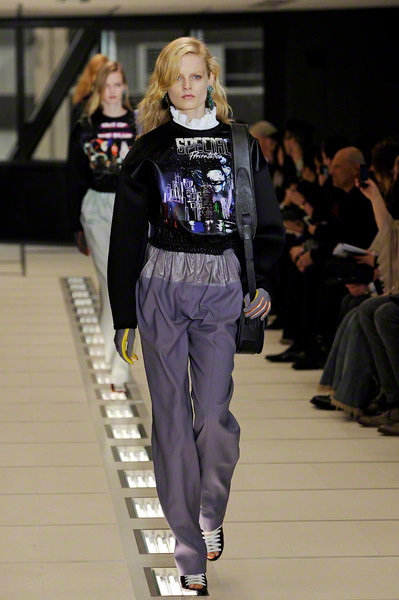 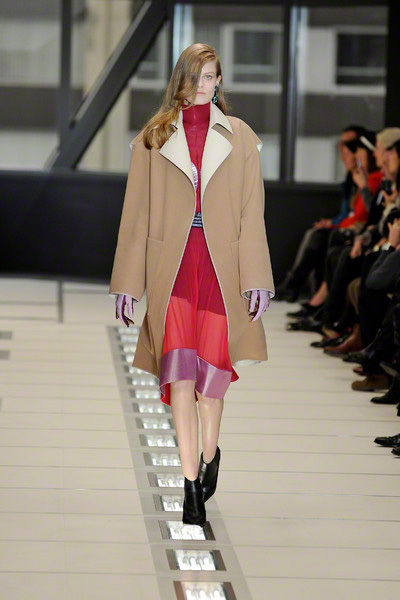 Ghesquière introduced new silhouettes and new proportions (coats with big rounded shoulders and padded sweaters with puffy sleeves). 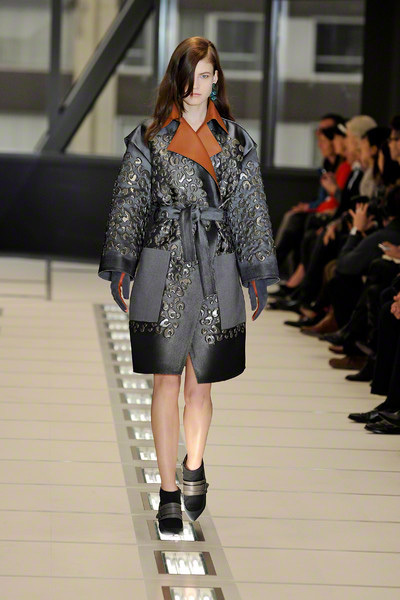 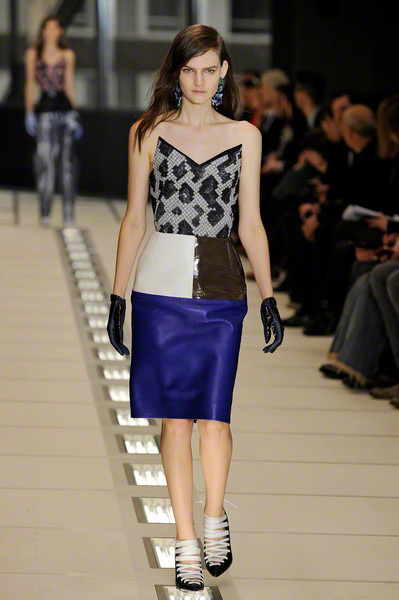 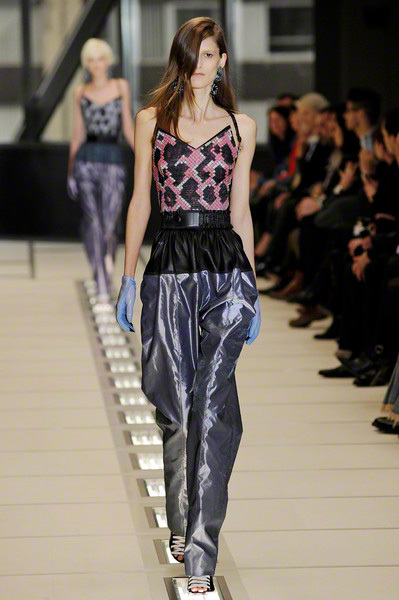 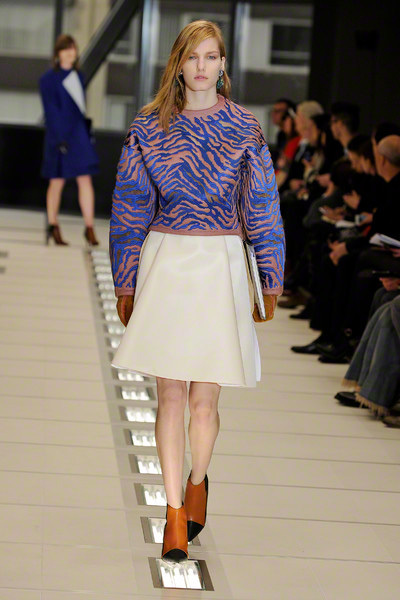 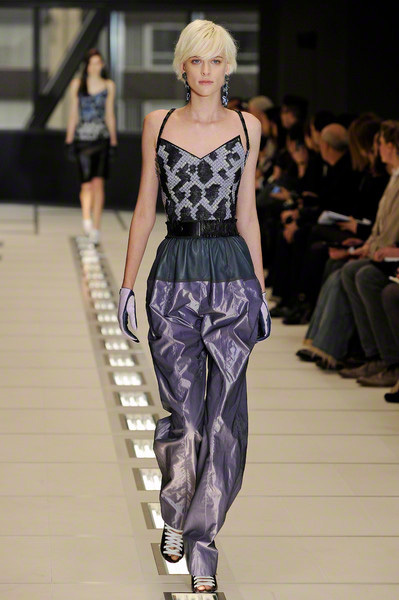 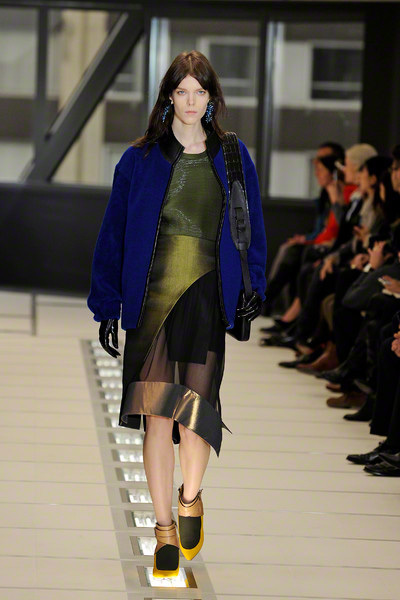 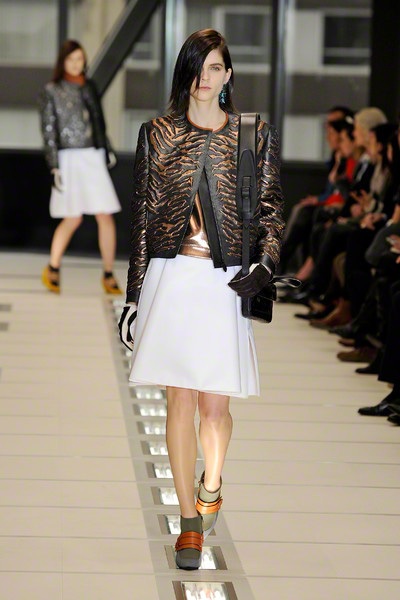 Sheer dresses were presented in different shades with asymmetric metallic and animal printed accents. 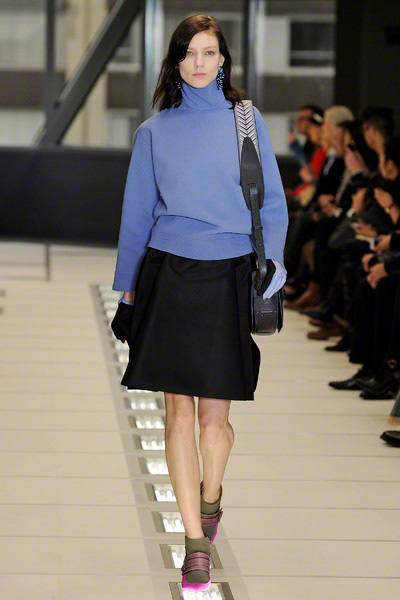 Knee high skirts were matched with thick stiff sweaters and short jackets. 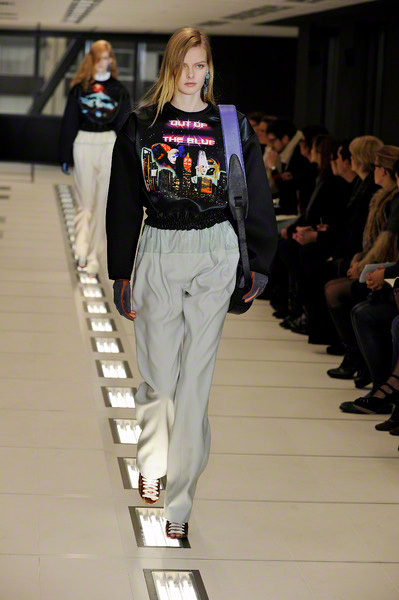 He even showed his sense of humor, by introducing parachute pants and sweatshirts with crazy slogans like “JOIN A WEIRD TRIP” and “OUT OF THE BLUE”. At the end those same parachute pants were elongated till the models’ waists and worn with V-neck sleeved tops and corset-like variations. 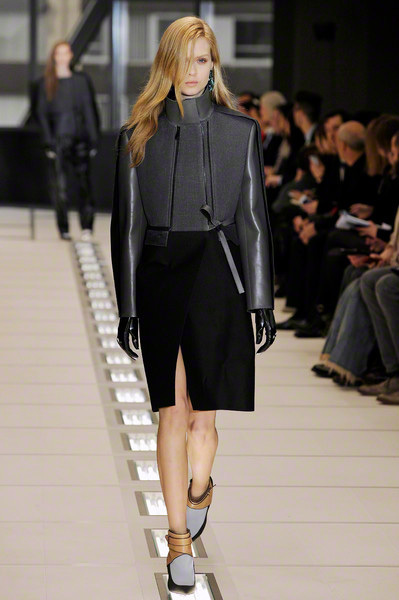 So many different looks and yet each one so strong and unique. 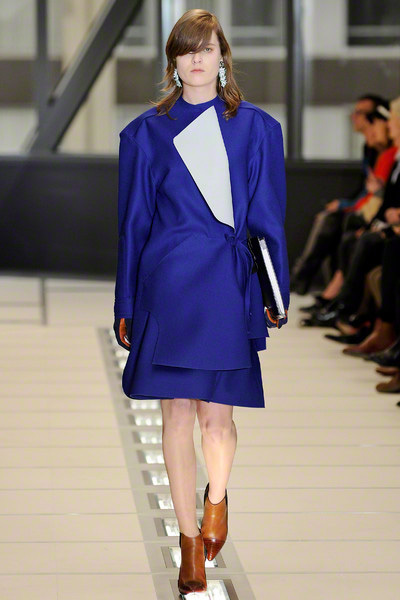 Working at this Balenciaga office seems like a dream job to us. 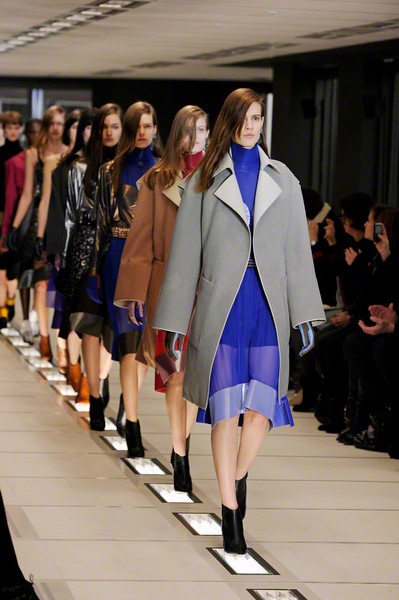 We can already picture ourselves behind our clean desks just daydreaming as a real life catwalk takes place in front of your eyes everyday.